One of the coolest things about traveling the world is coming home and being reminded of your journey through mundane things. Sometimes they come in the form of signs, posters, movies, or catalogs that make you say, "Hey....I've been there!" This happens so often to me that I am dedicating a section on my blog to it. 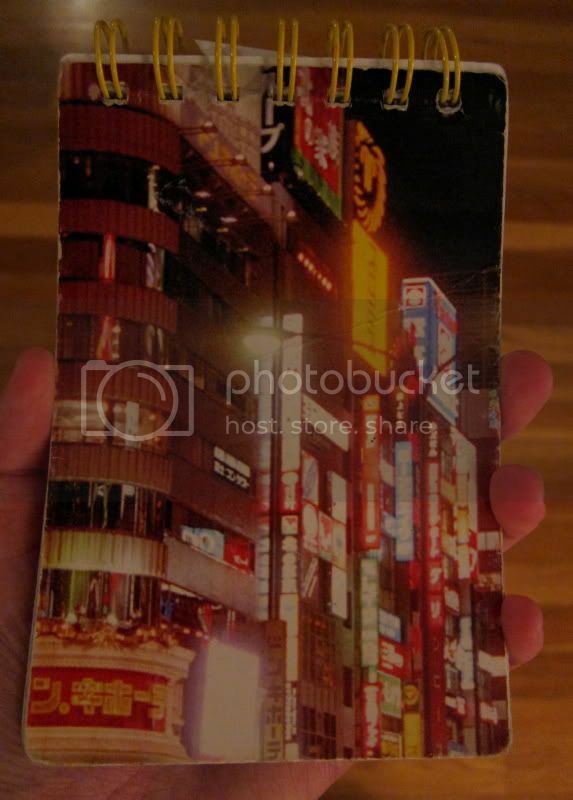 Shortly after my 2009 visit to Japan, I returned to the US, and while browsing the stationary section of Urban Outfitters, noticed a small notebook with a picture of Tokyo as its cover. It took me a while to recognize the location, but I soon realized that it is one of the most famous landmarks in all of Tokyo. The writing in the bottom right corner is the sign for "Don Quixote" a popular chain store. 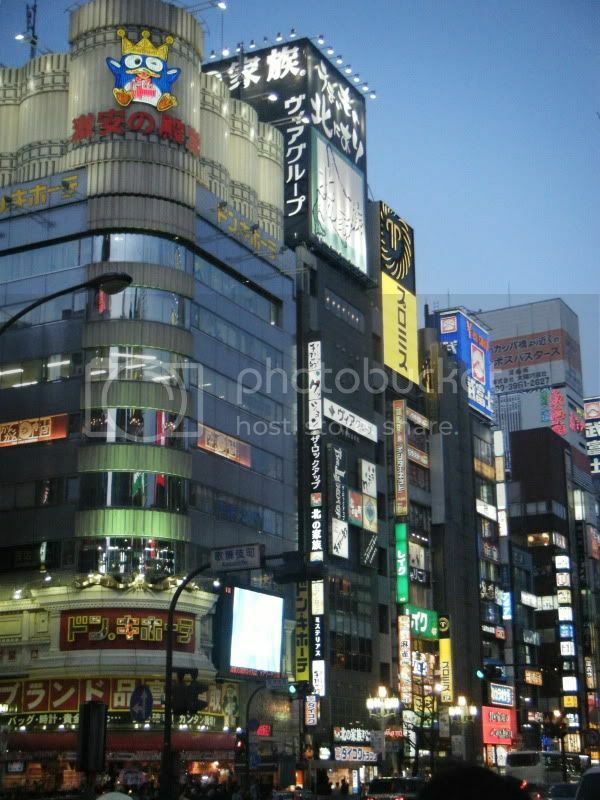 This photograph is of the Yasukuni Dori (Yasukuni St.) in Shinjuku. What was more amazing, is that I took a photograph of this exact landmark at almost the same angle.